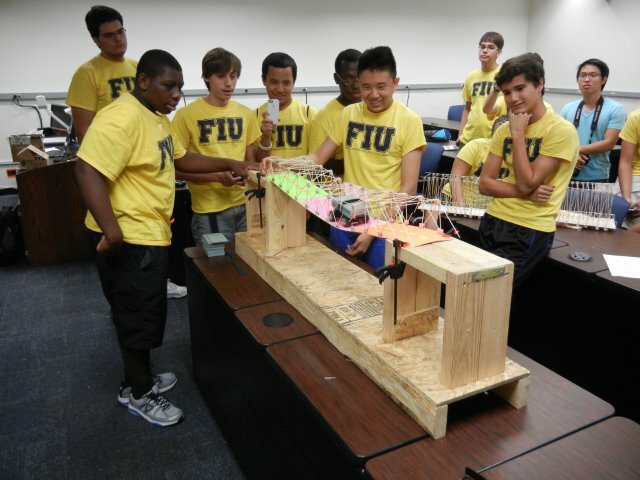 FIU’s Summer Transportation Camp was initiated in summer 2015. One of the focal points of the camp was Accelerated Bridge Construction (ABC). 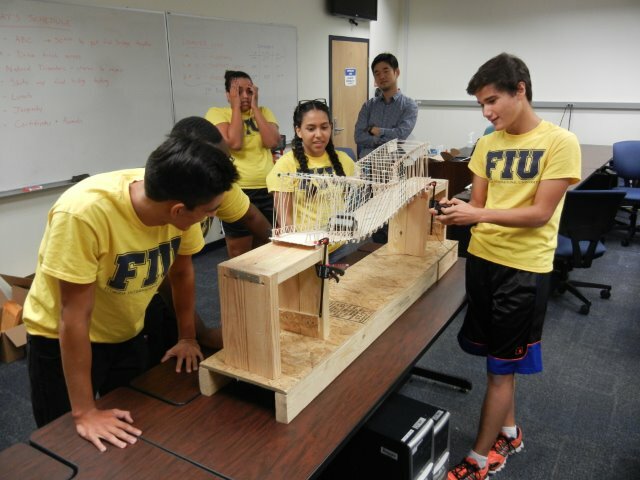 Students were introduced to ABC techniques through a series of lessons and then were given the opportunity to explore their use in the balsa wood bridge project. 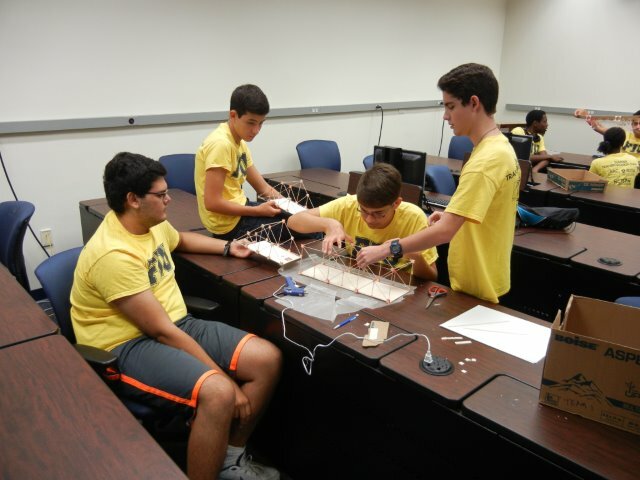 Student teams were required to prefabricate their bridges in three pieces and transport them to the bridge site. They then had 30 minutes to construct their final bridge. 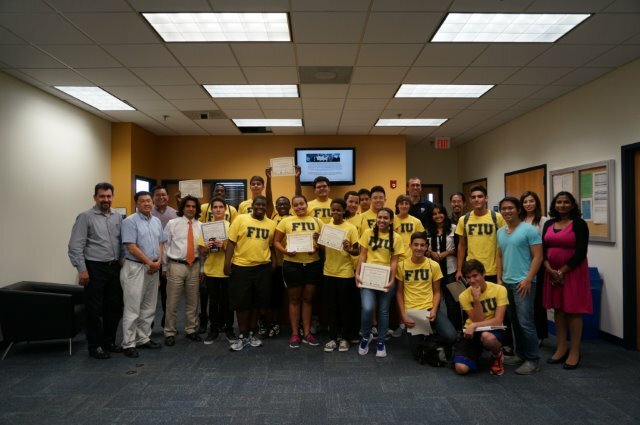 The inaugural camp was attended by 18 Miami-area high school students ranging from sophomore to seniors. Read more about the 2015 camp HERE.